Surrounded by the blue waters of the Gulf of Mexico to the south and the pristine Apalachicola Bay to the north, St. George Island is the perfect retreat for anyone who loves sun, sand, and the simple life. Though St. George Island runs 28 miles in length, it is around one mile across at its widest point. 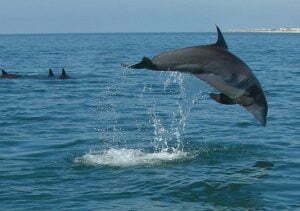 This means that on St. George Island, you are never more than a short walk to our stunning white sand beaches. From quaint cottages to luxuriously appointed beachfront homes, St. George Island is the perfect place to find your beach escape. The Island is divided into three areas, each with its own great features. To the Island’s west lies the St. George Island Plantation. Known for its lush vegetation, the Plantation is a gated community crisscrossed by beautifully maintained bike paths. 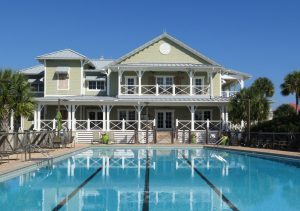 For those seeking ultimate relaxation, The Plantation offers tons of great amenities, including a community pool, clubhouse, exercise facilities, tennis courts, a 3,000-foot airstrip, and private security. The Gulf Beaches section is at the heart of the Island, and is the location of great local dining, galleries, outfitters, and more. This section of the Island is home to the Lighthouse Park, where visitors can enjoy full moon lighthouse climbs and picnics in the shade of two public shelters. The park’s playground is a great way for kids to enjoy the outdoors and a carefully maintained boardwalk offers easy access to the beach. Just a short walk from the park is the fishing pier, where locals and visitors alike can enjoy a relaxing day of angling for that perfect catch. Some consider the beaches of the East End to be the most beautiful on the Island. Residents of the East End section enjoy easy access to the State Park, which ranked in the top three beaches in the nation three years in a row. This bike-friendly park offers fully equipped picnic shelters for beachside cookouts, hiking trails, dedicated fishing areas, camping areas, and calm bay waters perfect for kayaking and dolphin spotting. No matter where you choose to settle on St. George Island, you are sure to enjoy the peace of a natural, low-key island experience. Apalachicola is a charming bayside town steeped in maritime history. The town’s two historic districts showcase beautiful homes along palm-lined streets, and the importance of the local seafood industry is apparent in everything from the cuisine to annual festivals. Weekends are a great time to stroll the walkable streets of Apalachicola, and explore the many independent shops and galleries or stock up on local produce at the farmer’s market. 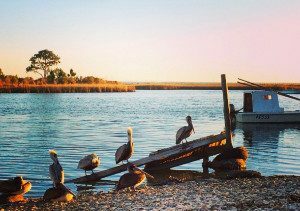 From gastropubs, to fish fry joints, to fine dining with a water view, eating out is always a treat in Apalachicola. Locals and visitors love to stroll the riverfront, watching boats and stopping at oyster bars along the way. Nearby parks, camping, and the kayak-friendly Apalachicola River allow residents to make the most of the great outdoors. Whether you are searching for a stately Victorian with sweeping porches overlooking the bay, or a quiet cottage retreat, Apalachicola has a home to meet your needs. 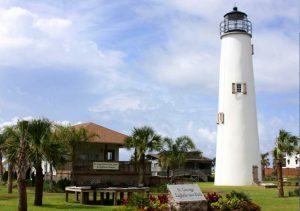 Conveniently located between Apalachicola and St. George Island, Eastpoint offers quick access to the beach and local shops and restaurants. 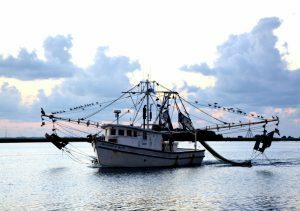 Eastpoint residents benefit from being at the heart of the local seafood industry, and not only have ample access to fresh-off-the-boat oysters and shrimp, but some of the finest restaurants in the area. Homes in this area range from luxury estates with private bayside beaches to rustic cabins nestled in lush forest. © Jean & Gary Ulrich. CENTURY 21® and the CENTURY 21 Logo are registered service marks owned by Century 21 Real Estate LLC. Equal Housing Opportunity. Each office is independently owned and operated.